Vladimir Putin is predicted to win with 70 percent of the vote despite a lacklustre campaign and his refusal to participate in televised debates. Russians should know who to vote and how to exercise their right to free choice, Vladimir Putin said. 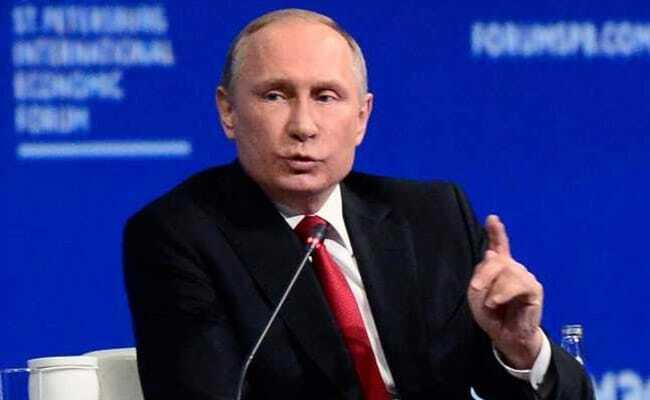 Moscow, Russia: President Vladimir Putin has appealed to Russians' "love of the fatherland" to encourage them to vote on Sunday, as he seeks to boost turnout at an election he is sure to win. The Kremlin is seeking high participation to give legitimacy to Putin's inevitable fourth term as opposition leader Alexei Navalny has called for a boycott of a vote he denounces as a sham. "Who to vote for, how to exercise your right to free choice, that is the decision of each person," Putin said in a video released late Thursday and carried in news bulletins Friday morning. "But, if the decision is avoided, then this key, defining choice will be made without your opinion being taken into account," he added. He said Russians should be guided in their decision by their "conscience, understanding of truth and fairness, and love of the fatherland." Putin is predicted to win with around 70 percent of the vote despite a lacklustre campaign and his refusal to participate in televised debates. He is standing against seven other candidates, including millionaire communist Pavel Grudinin and former reality TV host Ksenia Sobchak, but none are polling more than 8 percent. Navalny, Putin's most vocal critic, has been barred from standing because he has a criminal conviction that supporters his supporters have slammed as politically motivated.